Are you currently looking for Tech Support in the Santa Barbara area? Look no further, as On-Site Business & I.T. 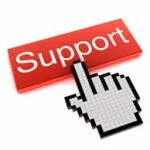 Solutions, Inc. provides you with the best network support Santa Barbara has to offer! We are your I.T. department – a group of friendly engineers that service the Santa Barbara area 24 hours a day, seven days a week at foreseeable, affordable costs; Not only that, but we offer a variety of options for fixed pricing for our services, no surprise costs to worry about. You can pay us per individual problem or you can sign up to a monthly contract for permanent I.T. support and peace of mind. We love technology and believe that the it’s point is to make a company more money, rather than to waste time, so we can promise to put forth our best efforts to make your small business a rising star! I.T. problems often occur when you least expect them, so we offer 24-hour service, seven days a week so that you don’t go unprotected for even a second. Whether your problem is with PCs, Macs, servers, mobile devices, or databases, we know our stuff and will have your problem resolved in no time! We can work with your existing technology to make sure that it’s performing properly and advise you when it’s time to consider updating your systems to keep them running at maximum capacity. As the best network support Santa Barbara has available, On-Site will be right there with you to ensure that all your in-home infrastructures are running smoothly, whether it’s office servers, desktop PCs, routers, switches, firewalls, printers, wireless devices, or cabling, your I.T. department is on it! From routine backups to maintenance to high-level strategic advice, we’ll have every aspect of your office technology covered. Not only do we offer tech support, but we can also give impartial, expert advice on choosing new technology properly suited for you. We pride ourselves in being technologically agnostic. Why champion the latest technology if it’s not useful to the customer? Instead, we take time in getting to know your firm from the ground up so we can assess what’s right for you. Let us custom tailor innovative I.T. network solutions for your business to maximize productivity and performance. No business can afford a compromised network. We provide secure and reliable Cloud backup services to protect you, your data, and your business and create a system that you can trust!